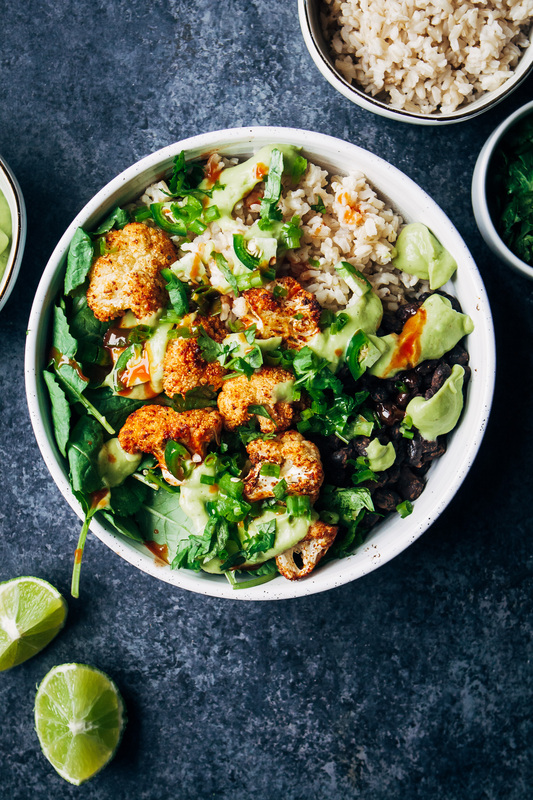 This Spicy Vegan Burrito Bowl is packed with flavor – with lime rice, cumin black beans, and spicy chipotle cauliflower! When I first started cooking plant-based meals, I thought that I’d be stuck eating pasta with marinara sauce and iceberg lettuce salads for the rest of my life. I had never seen kale anywhere else but Whole Foods, and I thought quinoa was something having to do with yoga (seriously lol). 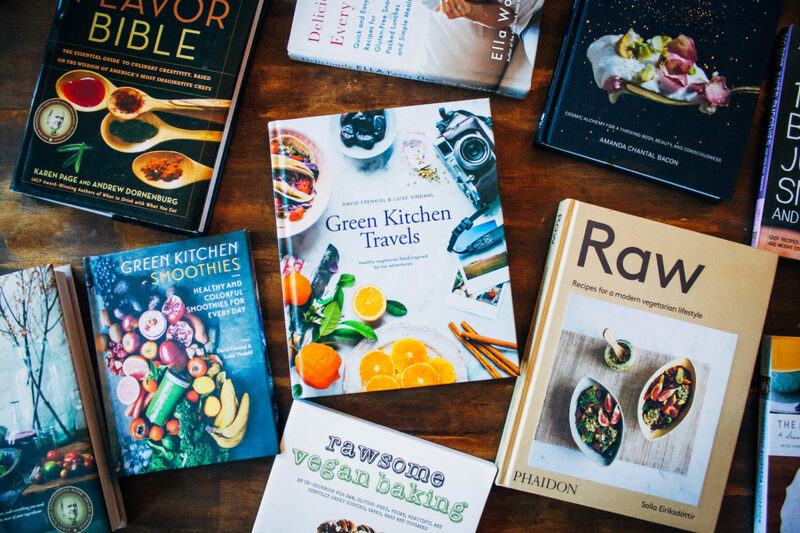 And I think this is a common theme with people who have grown up eating the Standard American Diet – feeling overwhelmed by the very thought of forgoing meat, dairy, and eggs. But it’s actually through vegan cooking that I learned about herbs, spices, and flavors! Before going plant-based, my vegetarian meals were very basic and one-note. I had never even heard of paprika, and my idea of spice was store-bought Italian seasoning. And let me go on the record saying that there is nothing wrong with store-bought Italian seasoning!! But there are near infinite ways to combine herbs and spices, and there’s no better medium for this than plant-based food. This spicy vegan burrito bowl is exactly the type of food I like to eat – plant-based, healthy, and packed with flavor. While this isn’t a “throw together in 5 minutes” type of meal, I promise the end result is worth the cooking time. We’re talking lime rice, chipotle cauliflower, cumin black beans, and spicy avocado sauce. Add on some kale, green onions, and hot sauce, and you’ve got one killer meal! For this recipe I used long-grain brown rice grown in the United States. 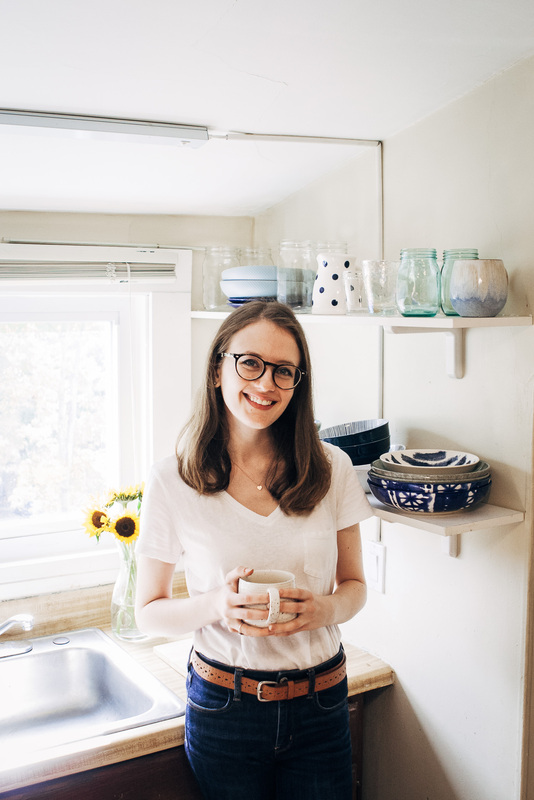 I was so thrilled to be invited to participate in this campaign with US Grown Rice and The Feedfeed because rice is such a huge staple in my kitchen, and I love supporting American-made (or grown, in this case!) products. Rice is perfect for anyone looking to eat plant-based because it is cheap, healthy, easy to cook, and super nutritious too. And I love using brown rice because it is full of fiber, vitamins, and protein. 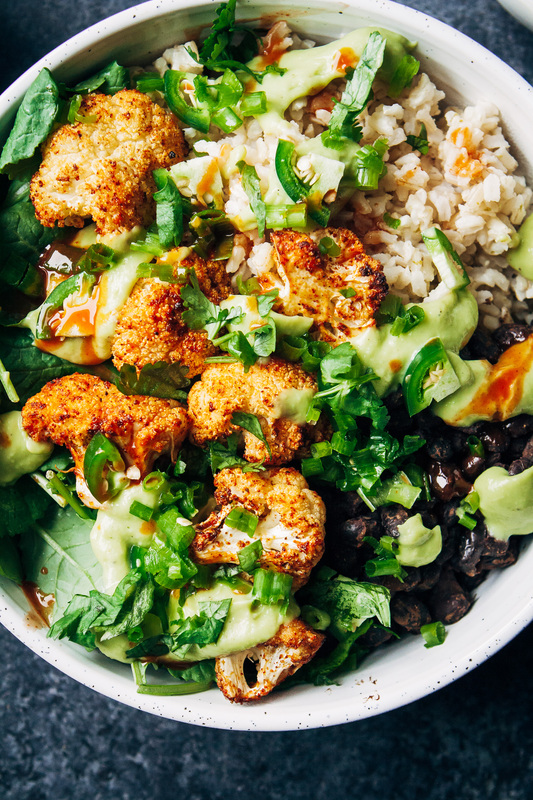 This spicy vegan burrito bowl is packed with plant-based flavor - with chipotle cauliflower, lime rice, cumin black beans, and spicy avocado sauce! 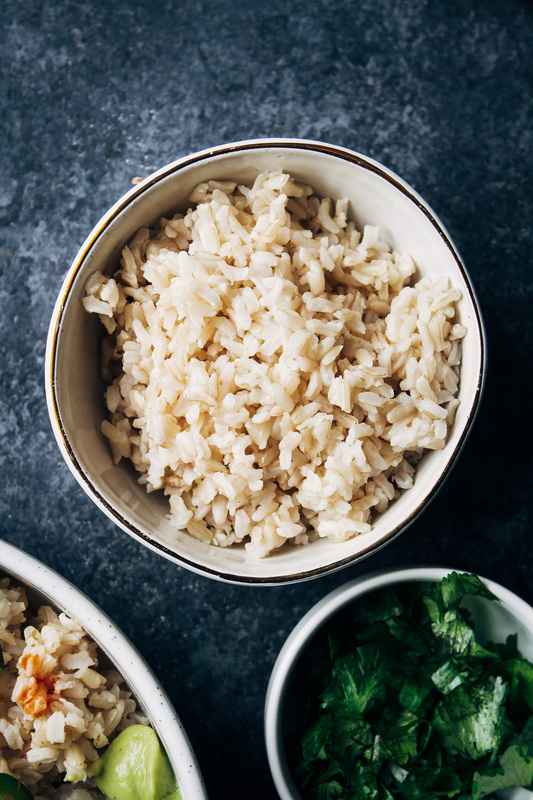 Add your US Grown long-grain brown rice to a pot with water. (Use as much water as the package directs - different varieties will call for different amounts). Add beans, salt, and spices to a small saucepot. Cook over medium-low heat for about 10 minutes, stirring, until hot and softened. Alternatively, you can use plain black beans or chickpeas in this recipe if you'd like. Remove the ribs and seeds from the jalapeño (or keep them if you like extra spice!). Assemble your bowls. Add on a layer of baby kale or spinach, if desired. Layer on the black beans and rice, then add on cauliflower. Drizzle everything with the avocado sauce, and top with chopped green onions and jalapeños (if you'd like). Add on some hot sauce or extra black pepper, if you'd like. This sounds delicious! Can’t wait to make it. How many servings is this? I made this the other night and everything came out delicious. Worth the time! I made this tonight for dinner and my whole family loved it!